Some $30 million worth of eth moved this Wednesday from an unknown ethereum address to a brand knew one that was created at about 9PM London time on March 20th. 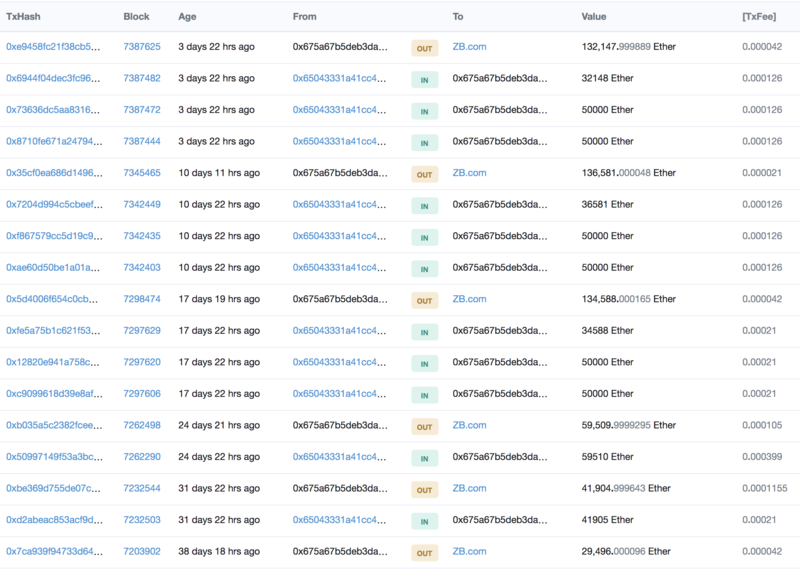 Most of the eth (175,000) remain on the new address at the time of writing, but 50,000 of it has moved, ending through a few hoops on another brand new address created this Wednesday containing a total of 75,000 eth. 225,000 eth move spikes days destroyed, March 2019. The 75,000 eth address looks quite identical to the one above when manually traced back, including it being topped up by deposits of precisely 7,500. Thus this is one entity. Who, we couldn’t establish. Tracing it back, there’s quite a few hoops with big sums chopped up then merged again. This may well be Gemini’s cold wallet or Kraken. However, the fact we ended up at a withdrawal of circa 30k eth from Gemini a year back or so, and a far bigger deposit from Kraken very many years back, might perhaps suggest it’s neither unless Kraken and Gemini have some sort of relationship. At least we’ve located Kraken’s cold wallet though. This had in 2016 some 740,000 eth. About 445,ooo eth is sent through ReplaySafeSplit, which seems to be a smart contract that splits pre-fork eth and ETC coins. Since then, Kraken may have scattered their cold wallet to different addresses, but we might have gone off the wrong end. Every transaction can be a change of ownership, but not necessarily so. To establish whether there has been a change of ownership or not can be difficult. In addition, if you go back enough eventually you’ll end up either on some exchange or on some miner new minted coin/s. The fact there’s quite a uniform behavior here, however, and the fact some of the withdrawals were sent to an almost identical address in appearance, does suggest this is an exchange. If it is, then one can ask whether this is the real time exchange end or the Over the Counter (OTC) end. That’s because these coins do appear to move relatively often, but usually end up in fairly big addresses that amount to the initial withdrawal. So it’s probably Kraken’s cold storage and we’ll leave it at that as there isn’t much indication to suggest something else. Off then to another big move on the 17th of March. ZB potential cold storage, March 2019. Now this is a strange one and by strange we mean we haven’t quite come across one like it before. Obviously this belongs to ZB, a Chinese crypto exchange with more than $600 million in 24 hours trading volumes. Fairly big funds somehow make it to this address, presumably deposits grouped together in withdrawals from their hot wallet with some 45,000 transactions in total, but then these deposits are sent to an even bigger hot wallet with more than a million transactions. That appears to be happening every seven days. So this is an intermediary address between either a smaller hot wallet or perhaps a cold wallet and the hot wallet. Ethereum days destroyed spike, March 2019. These two movements on the 20th and 17th have sent days destroyed to all time high not just for this year but for all time. We’re not sure that’s very correct. 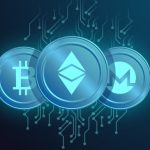 Poloniex has moved 2 million eth before and Binance has moved about one million eth twice. Days destroyed, as you may know, tries to provide a measure of the importance of a movement by tying it to time. If you’re a mixer service, for example, you might be moving 100,000 or even one million eth, but that’s just shuffling around the same coins without a “real” reason, “real” here being without much of a suggestion on whether you’re sending them to an exchange or somewhere else of relevance. If, however, the coins have stayed in the same place for say a year and they suddenly move, then that move might provide some useful information. Here in the case of ZB, the coins have stayed there for only a week. While in the case of what might be Kraken, they were there for only 80 days. So there might be a glitch at Santiment’s blockchain data somewhere, just as our very surface analysis might have taken a wrong turn somewhere.